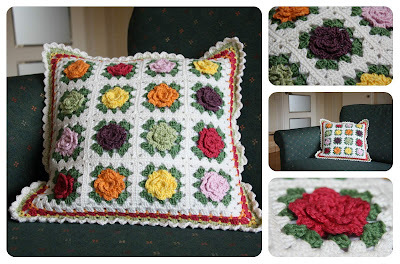 Step 2 of the Granny Rose pattern in my Etsy shop. 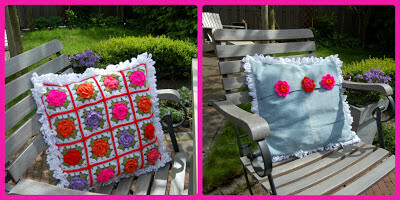 and can also be purchased in my Etsy shop here. 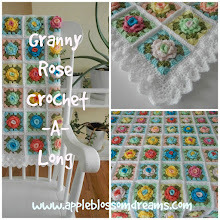 You can also purchase all five steps of the Granny Rose pattern as a package via Etsy here. They are all instant downloads. the rows were increased to 43 from 25. 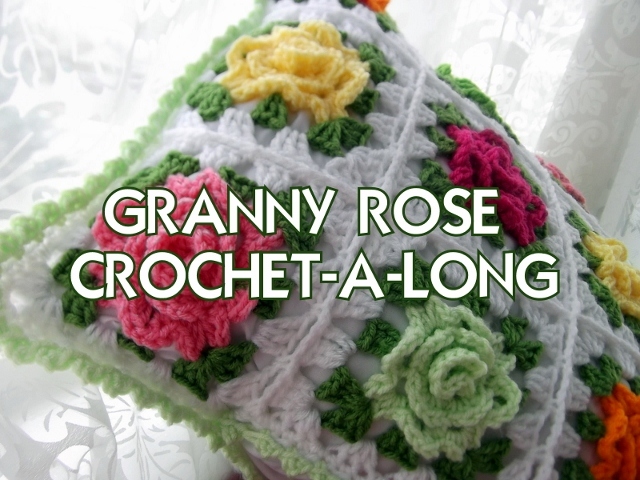 The challenge goes until the end of 2013.
so here are a few, of the latest, for Granny Rose viewing pleasure! How cute is that back of this pillow? And how about that ruffly edge too? the Rockman step-by-step links are free and found on the sidebar, as well. Please email me if I have missed yours and I will add it to the next update. A couple of simple scheduled posts in the last little while. Can you tell I have been away? I've been in Dallas for work. Texas is super cool (not cool in respect to the weather - but cool in other respects). Aaaaahhhhh, it's good to be home! so I used all three. Using "Awesome Miniatures" app for the Android. The NVO photographed it in 2009 and miniaturized it in 2013. 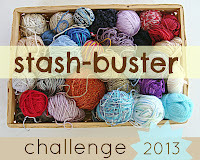 The dishcloth pattern and tutorial can be purchased my Etsy shop here. "Bright Eyed - Bushy Tailed"
I have blogged about one of his favorites, Berlinerkranser, here, here, here, and here. the recipe link is within the post but also here. and it seems like we almost always have the ingredients needed. Tonight we made half of a recipe. And how about these dishes? I nearly fainted when I saw these at my favorite discount store, TJ Maxx/Home Goods. They are called "Bird Song" by www.creative-tops.com. Roll dough balls then roll in cinnamon sugar. Smash them down with the bottom of a glass. he even stops studying Norwegian to partake in this goodie! Sunday evenings are often for cookie making in our household. What do you like to do on Sunday evenings? What is your loved one's favorite cookie? The NVO and I collaborated on a birthday gift for offspring #5 aka "Precious". These were made with the Granny Rose pattern from my Etsy shop here. With rows of sc and dc around the edges (three in each corner). 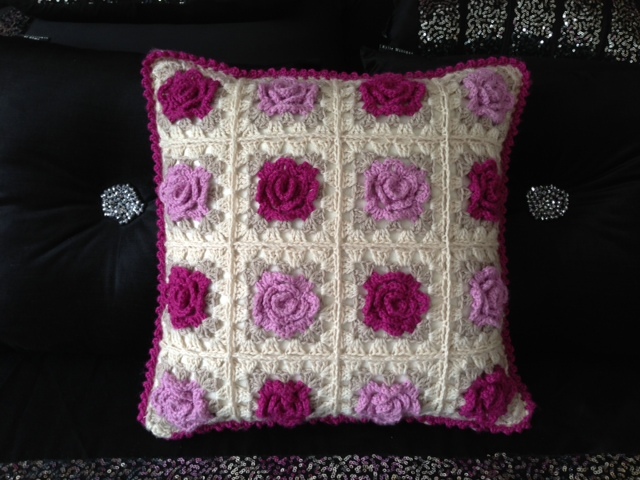 The ruffly version has a row of bobbles and a *picot stitch around the edge. 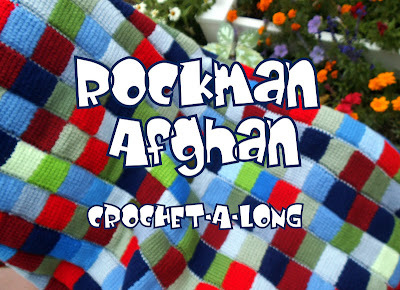 *picot stitch tutorial is included in the pattern, as well. Made with Tilda yarn from my My Rose Valley Yarn Shop and an "E" hook. Precious is "with-child"(their first child and our seventh grandchild) due in November. And just you wait to see what crocheted goodies I have in store for this little one in spite of the unknown gender...posts to come. I am so excited to share it with you.